A lot has changed since Planet Poker dealt the first real-money online poker hand in 1998. Since then, online poker has expanded across the globe and has become a culturally acceptable form of entertainment for millions of players. 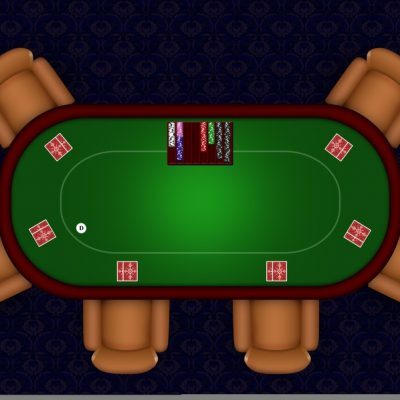 Based on the traditional table game, online poker requires an extra set of skills that are unique to digital play. These skills include the creation of avatars, finding the platform that suits you best and learning how to “read” other players through digital interaction as opposed to playing face to face. It also involves managing how much you pay for your gambling experience. Online poker is a popular form of entertainment and should be fun, not cause anxiety or stress. For amateur players, success is not necessarily determined by winnings, but by how much fun they are getting out of the investment. When you wager real money in online casino games, you already have an idea of how much you are willing to risk. Sure, we all love that sudden rush of adrenaline when the cards tilt and our fate at the table is determined. But here are two precious words of advice: calculated risk. Once you know how much you are willing to pay for your gambling experience, you have to develop a gambling mentality to be a successful amateur player. Each online poker platform has unique characteristics. Some interfaces go for a more schematic representation of the game (think of an overhead camera), while others provide complex 3D graphics that resemble those of Second Life. Try a few platforms before you choose the one that suits you better. Luckily, most online poker sites have practice tables where you can get to know the nuances of the interface. Play, experiment, test your skills and play some more. Once you feel comfortable, you can move on to cash wagering games. Put your money where your experience and knowledge are. One of the main differences between traditional and online poker is that the online house has a more limited control of who sits at the table. If you’ve had a few drinks and are feeling restless, think twice before betting large quantities. We don’t want to sound like a nagging parent, but risk and alcohol don’t mix that well. If you love playing poker when you feel like you can take over the world, you can always play on practice tables. There are also dozens of social casino apps where you can play and practice your skills. This is the golden rule of any amateur gambler. Set yourself a limit and clearly define how much you are willing to pay for the experience. You can set up a separate bank account to pay for your poker experience, or get a designated PayPal account. That way if you lose it all, it won’t hurt that much…. this leads us to our next piece of advice. One of the ways playing can lead to anxiety is when someone “chases” their losses. That happens when a player believes that by playing more they will “catch up”. This can be a source of stress and take the fun out of the equation. If you set yourself a limit from the beginning, you will approach poker as a form of entertainment and not as an easy solution to make money. Another good strategy is to choose someone you trust and be accountable to them (your partner, a family member, a close friend). Part of a winning poker strategy is keeping a detailed and current record of your winnings. There are some pretty cool apps that help you calculate your poker bankroll. Being an awesome online poker player not only involves winning a few hands here and there but achieving a winning record over time.